It’s time for a spring refresh! Shop our selection of vintage home decor, gifts for him, Mother’s Day, toys, and baby items, and save 20% through April 1st! White is always in style at AlegriaCollection. Stop by, take a look and save 10% with coupon code ALEGRIA2014. There are lots of ways to say “I love you” at AlegriaCollection! Come take a look and save 10% with coupon code ALEGRIA2014. Lots of shiny things available in the shop! Come take a look and check our shop announcement for a discount coupon. 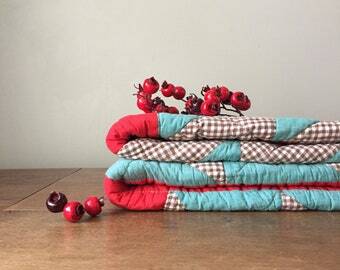 Lots of vintage & antique quilts coming soon to the shop, including a rare 1930s “democratic donkey” quilt (or “Giddap Quilt”), the pattern for which was published in the Kansas City Star as a companion to the “Ararat Quilt,” which featured an elephant. Do you have a hard-to-buy-for guy on your list? Here are some ideas that are sure to please. Find them all and more in our “gifts for him” section and save 10% with coupon code ALEGRIA2014. Happy shopping! 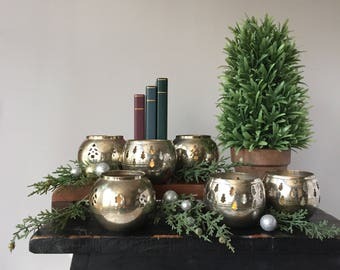 Deck the halls with Christmas decor from AlegriaCollection. Shop our “Christmas Decor” section and save 10% with coupon code ALEGRIA2014! Merry merry! Save 15% on your entire order when you buy two items at AlegriaCollection! Enter coupon code HOHOHO at checkout. 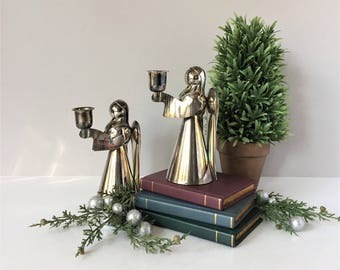 Last day to save 50% on select vintage Christmas decor and gift items! Navigate to our shop and browse the “On Sale” section. No coupon required. Shop our half price sale for vintage seasonal and gift items now through November 26th! Holiday decor, art, gifts for him and her, and much more. 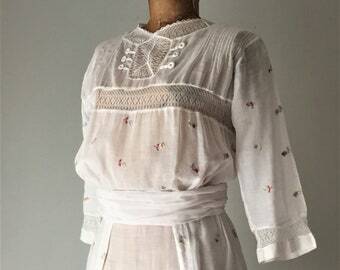 We’ve been adding lots of lovely clothing to the shop, including 1950s to 1970s coats just in time for cold weather, and antique lingerie dresses from the early 20th century. And to complete your ensemble, we also have hats and purses. Come take a look. What a great color! Orange Bakelite, paired with clear pressed glass and subtle gold-tone accents, makes these 1940s boudoir lamps an exceptional find! Vintage lighting adds character and warmth to any interior. The sleek Art Deco lines of the milk glass shade and aged copper patina of the base make this a very special piece. Mid century vignette from The Best of Flea Market Style magazine featuring a pair of brass swans. Get yours for half price here. Shop our 50% off sale now through Sunday. Many seasonal items at rock-bottom prices! Find the colors of Fall in our 50% off section, now through the end of September. We love flowers! And they seem to make their way into the shop on a regular basis, like this vintage tapestry purse from Stylecraft Miami with an all-over flower design, even on the frame and clasp. Who doesn’t love a sale! We do! Stock up on seasonal vintage decor and save 50% on select items! Look for the “on sale” section. No coupon needed. Happy Labor Day! Vintage Clorox bottles to add to an amber glass collection, the laundry room, or the farmhouse kitchen. Steel or teal (or turquoise, aqua, blue-green)? Whatever you call it, this vibrant color is equally at home in a Victorian vestibule or a bohemian boudoir. Browse our collection and find the perfect addition to your own style. For the horsey set, a pair of horse head glass bookends with strong lines in a style reminiscent of Italian Futurism and Russian Constructivism popular in the second quarter of the 20th century. Minimal. Modern. Glam. “A place for everything and everything in its place.” Sort it, hang it, display it, store it—with vintage. Save 10% with coupon code ALEGRIA2014. Currently offering free shipping on select items. Just back from Bella Italia with a suitcase full of Italian and French vintage and antiques. Espresso makers, furniture hardware, rare collectibles, and much more. Save 10% with coupon code ALEGRIA2014. Freshly picked in Italy! European vintage and antiques for every taste and budget. Save 10% with coupon code ALEGRIA2014. Extra large vintage brass candlesticks with presence. They’ll make a statement on mantel, floor or hearth. And if you have a banquet-sized table? Well, just imagine. Join us for our 50% off Labor Day sale on select vintage items Aug 31 - Sept 4. Choose from wall art, brass decor, antique porcelain, stoneware, gifts for him (and her), books, ephemera and much more. Looking for vintage brass candlesticks? More than 50 coming to the shop soon. Singles, pairs and multiples for tabletop or wall use. 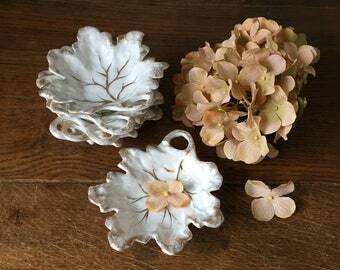 What do I love about vintage? When a thrift store briefcase comes filled with interesting instruments that after many hours of research turn out to be specialty tools used by forestry / surveying professionals. Tree borers. Micrometers. Calipers. More. "G" is for "gilding," the decorative technique of applying gold leaf, gold paint or gold powder to objects. Whether bland or grand, your setting will look rich and glamorous with the addition of gilded or gilt accents.